Do you have your big day coming soon? Well all of us here at Peaches Wedding Shop are so happy and excited for you! We feel honoured that you have chosen us to help give you your perfect day. 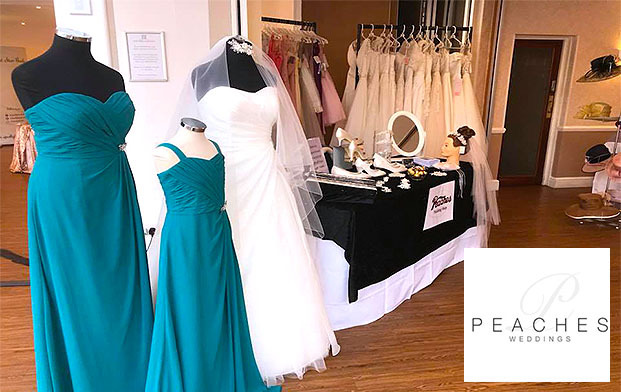 The whole team here are completely dedicated to making you look how you’ve always dreamed of looking on your wedding day. We will provide you with nothing less than an exceptional service. 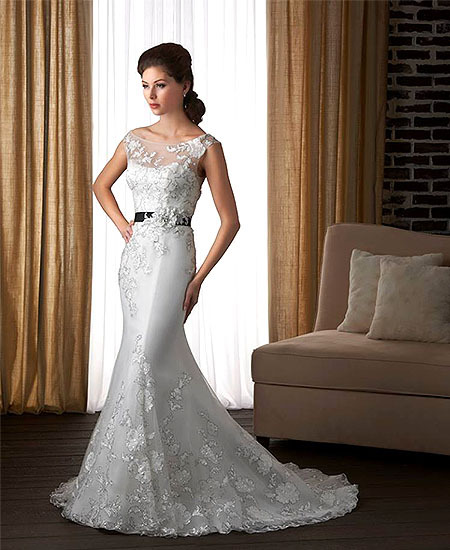 Our experience and knowledge will help to point you towards a dress and look that you will love. Our job isn’t complete until you are completely happy and satisfied with the outcome. 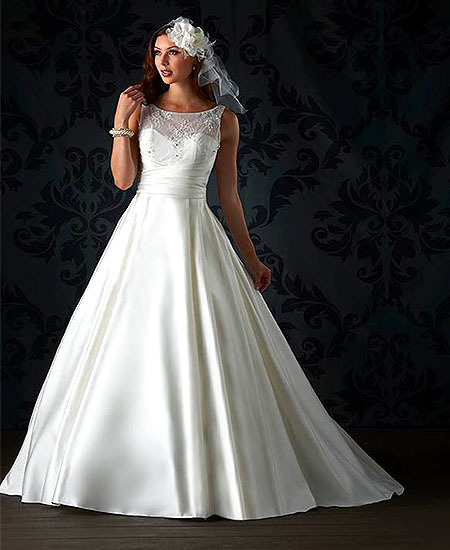 Visit our website where you can see our full list of dresses for both the bride and bridesmaids. You will also be able to see our selection of shoes, veils, tiara’s, head pieces and many more accessories that will put those finishing touches on your final look. 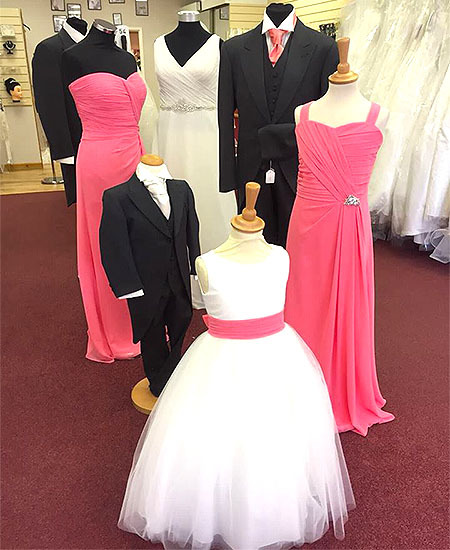 Our wedding shop is your one stop shop to making you look absolutely glamorous on your wedding day. Come down to our store to see all of our stock in person. 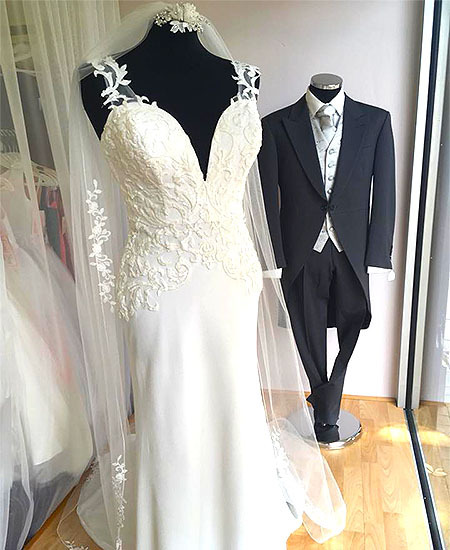 If you would like to book a consultation or appointment for a fitting then don’t hesitate to get in touch. You can give us a call and speak to us over the phone or you can just visit us in store. We can also answer any questions you might have regarding any of our services. Our team of knowledgeable and helpful staff are always on hand to help. We look forward to meeting you sometime soon. If you have got a spare five minutes, why not check out our social media pages? We post all of our latest dresses and accessories on there. We also post any news that we have or any promotions that we might be running at the time.